To encourage the growth of home equity as a buffer against hardship after retirement, tax deductibility on home mortgages should be switched from interest to principal. Interest Deductibility is Regressive: Most economists are negative or ambivalent about the provision in the US tax code that allows homeowners to deduct mortgage interest from their taxable income. The major concern is that the provision is regressive. Up to some limit, the benefit increases with wealth. The wealthier the consumer the more costly the homes they buy, the larger the mortgages they take, the higher the interest charge on the mortgage, and the greater the deduction. Some of this ambivalence is reflected in the recently enacted Tax Cuts and Jobs Act. While it did not generate a lot of attention at the time, that legislation reduced the maximum mortgage amount on which interest is deductible from $1.1 million to $750,000. However, that legislation did not adapt the deduction provision to emerging new social priorities. Change in Priorities: A new priority is the amelioration of the retirement funds crisis, as net worth at retirement declines and life expectancy rises. 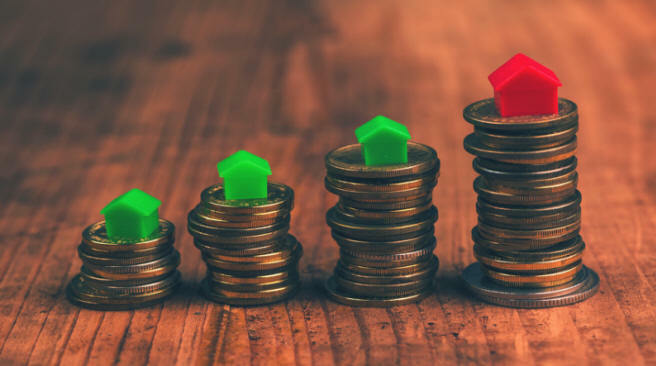 Since home equity is a potential buffer against economic hardship after retirement, the focus of tax deductibility should shift from increasing the affordability of home ownership to inducing homeowners to build equity more quickly. One way to do that is to shift the deductibility provision from interest to principal. Such a shift would result in faster equity growth, and could be implemented in such a way that it did not cost the Government any more than the current rule. Shift to Shorter Terms: Shifting deductibility from interest to principal would cause a swing away from 30-year mortgages to shorter terms by borrowers who can afford them. This would result from the much larger tax benefit on the shorter-term mortgage. For example, a $100,000 loan at 4.5% for 30 years has a monthly payment of $506 of which only $131 is principal in month 1. A loan of $100,000 at 4% for 15 years has a payment of $739 of which $406 is principal. The deduction in month 1 would be $275 larger on the 15-year term, and the difference increases over time. By month 60, the difference has grown from $275 to $331, and by month 120 it is $398. Greater Incentive to Prepay: Equally important is the swing in the incentive to make extra payments. The present system discourages prepayments because they reduce future deductions. The proposed system would encourage prepayments because they would generate deductions. Rules of the Game: To keep the costs down and the incentives properly aligned, the principal payments that are deductible must be properly defined. They consist of the principal component of the recurring monthly payment, and extra payments that reduce the loan balance by the same amount. They do not include repayments of the loan balance on sale of the house, since there is no reason to reward house sales. The eligible mortgage is one that was used to purchase the house, or one that refinanced the mortgage that was used to purchase the house. A mortgage placed on a house that does not have a mortgage would not be eligible. This prevents a homeowner from taking out a mortgage in order to pay it off immediately for a large deduction. Cost to Government: Shifting the deduction from interest to principal would probably cost the Government a little more because principal payments usually exceed interest payments. For example, on a $100,000 mortgage for 30 years at 4.5%, principal payments add to $100,000. Interest payments add to $82, 407 if the loan runs to term, $57,437 if it is paid off in 12 years. If necessary, the cost of the new system could be reduced by scaling down the percent of principal payments that is deductible, from 100% to a smaller figure as needed.